Ask anyone anywhere who has accomplished anything, the proof is there, if you know what you are looking for. Ask a professional sports player how they perform at such a high level. Ask a professional sports player why they have a coach, after all they typically have been doing the same sport since they were a young child. What more is there to learn? At some point don’t they know it all? What is it that you want to accomplish and is it realistic in the time frame and budget you have set? If you want to achieve more, then you need to associate with someone who has fruit on their tree in the area of your need. Someone who has succeeded and has experience with the challenges you expect to have and the hurdles you are not even aware of. When settlers started expanding west (here in the United States for my foreign readers) they looked for guides that knew the territory they would travel, the challenges they would likely encounter and knew which resources they would need. How long would the trip take? What would they experience? Had anyone else been successful? How would they know when they were “there”? It was a big land and easy to get lost. Enterprise Resource Planning (ERP) solutions have similar challenges for businesses and equally challenging objectives for the solution providers. What is working now? What is not working? Why? Have you mapped out your processes? Do you know what makes money and what increases overhead? What amount of budget have you allocated to an ERP project? Who are the stakeholders? Who makes the final decision? What would it cost you if you did nothing? How long can you remain competitive if you continued doing what you always have done in the way you have always done it? One of the biggest challenges businesses find themselves having to navigate when they make a decision to start looking for a new solution or upgrade, is what is it exactly that they do and how do they do it. It really is a necessity to map out the existing business process. How are customers found and serviced? You know, the people or organizations that actually buy the “stuff” you provide. Where are they located? What do they buy and when? How do you manage their credit? You are their supplier. How do they communicate with you and how do you keep them up to date? What tools do your customer service people have available to answer the questions from your customers? What tools do you provide to let them self-serve their needs? How do you stock and deliver that stuff? How do you know how much stuff to keep on hand and how do you find it? Do you know how much stuff you have now and where it is located? How do your people find it, pick it, and ship the right stuff? What does it cost if you ship the wrong stuff or the right stuff to the wrong customer? What tools do your procurement people (buyers) have to identify what needs to be ordered and when? Do you buy based on supplier deals or customer demand? Do they guess what is needed? Do they walk around and use an educated guess? Where do you get your stuff or the material to make your stuff? How do you know what to purchase and when? How much is too much? How long does it take to get more stuff? Do you drop ship any of your products? Are you being billed the right amount? How do you generate a forecast and keep in touch with the organizations that ultimately enable you to deliver your solution or finished product to your customers? How do they need to get paid? How do you manage your credit? How many people does it take to service customers? How many to pick, pack and ship orders? How many people to run your finance department? Procurement? Warehousing? Production? How often are you on-time or late on customer deliveries? Do you have sales people on the road? How many locations do you need to coordinate? A big clue that you should be looking for a new solution is when you start adding people and you do not gain an equivalent amount of productivity. For example, you have 10 people in your warehouse. You add two more. You might expect 20% more productivity and you do not even come close to that return. In fact the inefficiencies in your operations just absorbs the extra labor capacity. No simple article is going to solve your challenges. Likewise, no volumes of information are going to transform your operations. There is too much information and too little experience to sort through it all to find the pieces you need, that relate and fit your organization. A sales person is not the first one you should start with. It is not that they are not intelligent. It is not that they do not know about the solution they represent. It is not that they do not know about competitive solutions. The issue with sales people is that their goal is sales. After all is that not what you want your sales people to do? They are needed and there is a time and place for them. 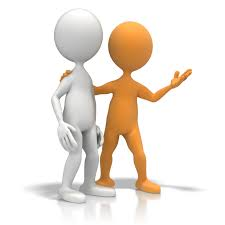 What you need most is a mentor and coach, often referred to a Trusted Advisor. What is their goal? Is it your solution that addresses your critical business needs? First and foremost the trusted advisor’s responsibility is to help you identify your business process, how you operate and what options are available within your budget and most of all what is reasonable and achievable. You may want to have 100% accurate inventory, but that might not be possible. You may want to ship more products with less people, but what investment would be necessary to make that happen? A note of caution regarding people involved in the decision process. When taking inventory of the stakeholders in your operations, the more people that are involved in the decision the less consensus there will be. It is not linear, the lack of consensus will be exponential in growth with more people involved. MaaS – Mentoring as a Service. It is what we do. Your challenges are important to you and your business. More than likely they are not unique in your industry. Dolvin Consulting provides business consultation services that can be used to help you navigate the sea of change. We leverage our industry and business relationships to help you identify your challenges so that we can find a solution together. Please contact us today to see how we can help.